You are here: Home / Pets / Ready for Tenants! I can’t believe Spring Break is almost over. 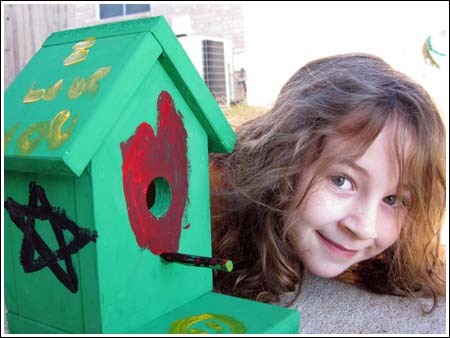 Here’s Fuzz with her birdhouse. Hopefully, a family will move in soon.